It is amazing how many kids do not like vegetables. Or if they do, they like only one, like carrots, or cucumbers, but otherwise that’s it. I know many parents experience this struggle of expanding their children’s vegetable palate. That’s why getting creative to get kids eating vegetables is key. 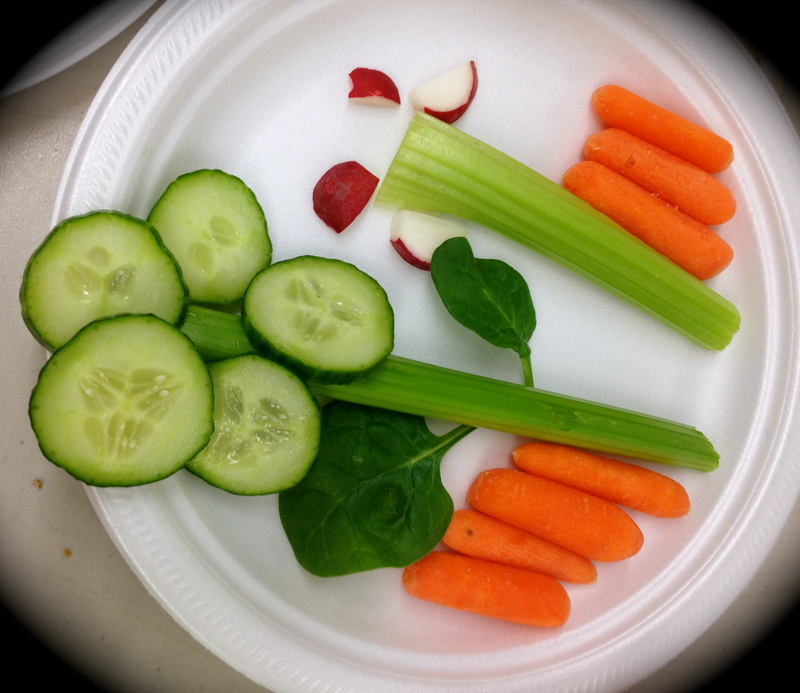 In our Mini Chefs class last week we created vegetable flowers. This is a great way to get kids eating vegetables – it is fun, offers them diverse food colors and creates a pattern, which are all proven ways to get them eating. The ‘flower’ was a combination of celery, radish, carrot, cucumber, spinach, and grape tomato (lots of colors). When we were creating our vegetable flowers, many of the kids told me right away which vegetables they did not like. Though I acknowledged it, I encouraged them to make the flower anyway and then they could eat the parts they did like and leave the rest (not forcing the kids to eat what they don’t like, but acknowledging and encouraging is another way to get kids eating vegetables, and a variety). I praised and encouraged them as they were creating, telling them how much I liked the ‘grass’ they had made or the ‘petals’ on the flower. When we were done, all the ‘flowers’ were unique. Similar to the example but with their own creative flare! This is why cooking with your kids is such a great benefit! It gets them involved, creative and gives them opportunities to try something new. 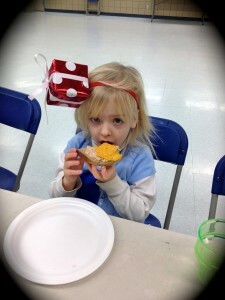 Making food fun, will encourage them to try it out and maybe, hopefully expand their palates. It also is an opportunity to teach them about nutrition and why we need balance in what we eat. Also that day we made Tuna Melts, which is one of my favorites! It is a simple quick recipe and great to do with kids. All you need is bread, tuna, Veganaise (or your favorite mayonaise) and cheddar cheese. This recipe is a great one for kids to practice stirring and spreading (the tuna). Parents of course should do the opening of the can, cutting and using the oven as these tasks need to be closely supervised with small children. Again we had a few kids who said they didn’t like tuna, but I encouraged them to at least try it. For some kids, it could simply be the Veganaise (mayo) that they don’t actually like. I remember when I was little I did not care for mayonaise at all. It wasn’t until I was much older that I actually liked it. If you think this may be the case, you can either change your mayo choice (not all mayos are created equal) or you could leave it out and not mix it in your tuna – though this would leave the tuna a little dry the melted cheese on top could help with this. Experiment, let your child taste the items separately to determine what part they don’t care for and then adjust from there. 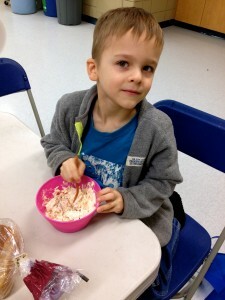 Cooking with kids is always an adventure and getting kids to eat vegetables just makes it that much more interesting! But recognizing and praising them for what they do and trying new things definitely puts them on a path to enjoying their food and exploring new recipes! Mix tuna with Veganaise. Start with one to two spoonfuls of Veganaise and mix. Add more if needed to taste, you do not want the tuna to be dry, but you don’t want it sopping wet. 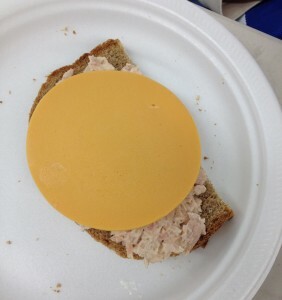 Spread tuna on slice of bread. Place cheddar slices on top of tuna. Place on a cookie sheet in oven on broil. When cheese has melted it is ready to eat! this only takes one or two minutes so make sure you keep an eye on it. Take out of oven and let cool slightly, then eat and enjoy! Wash all vegetables. 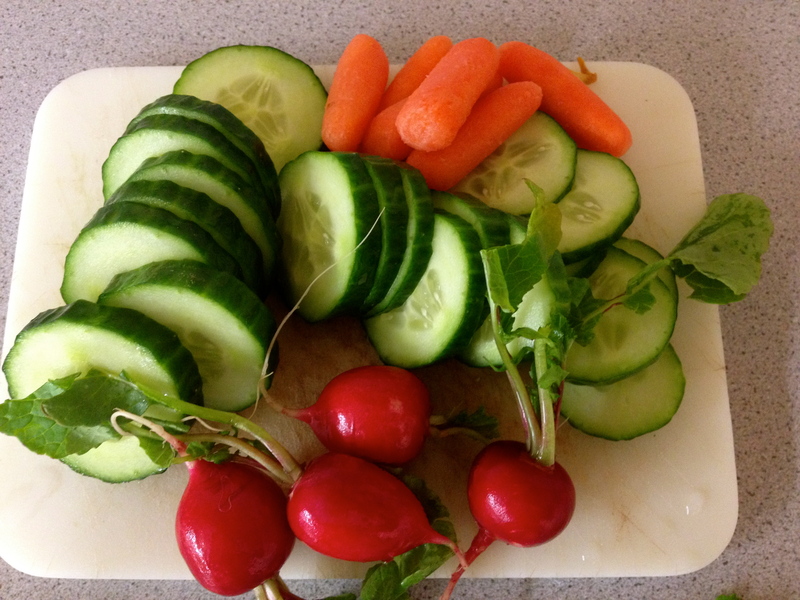 Slice cucumbers, radish and 2 pieces of celery (one big and one small) to make stems of flowers. On a plate place 2 pieces of celery. 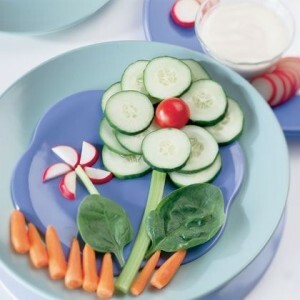 At the top of the big piece arrange cucumber slices into a flower shape. At the top of the small piece of celery arrange the radish to make petals of flower. Place grape or cherry tomato in middle of the cucumbers to form center of big flower. Place two pieces of spinach on either side of big piece of celery to make leaves. Line the bottom of flowers with baby carrots to create ground/ grass. Take a picture of your creation! Enjoy plain or with your favorite dip. Next week Kids Smoothies – 3 delicious recipes, one with chocolate! how can you go wrong? This entry was posted in Activities for Kids, Dairy Free, Health, Healthy Eating, Nutrition, Parenting, Recipes, Sugar Free and tagged benefits of cooking with kids, cooking with kids, dairy free, Daiya cheddar, getting creative with vegetables, kids healthy cooking, recipes for kids, veganaise, vegetable dips, ways to get your kids to eat vegetables by Carmen. Bookmark the permalink.